We finally found the one, you guys! 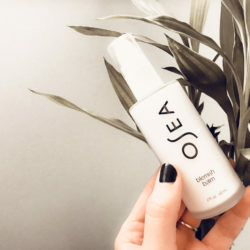 You’ve heard us fall in love with or deeply out of love with many skincare lines over the past few months, but truth be told we really felt like we hadn’t found the one. That is until we met Cocokind…then things got pretty serious. Kinda like our dry shampoo experimentation, we struggled with balancing so many factors in a skincare line. Of course, effectiveness was a top priority, but what about cost and ingredients? Although a few skincare lines have earned our stamp of approval in the past for checking most of our boxes…we finally feel that we’ve found a skincare line that checks ALL of our boxes! Cocokind stands behind three things: pure, nutritious, and meaningful. As an organic skincare line centered around superfoods, every ingredient is intended to nurture your skin. That means there are no fillers, no parabens, no chemicals, and less than five ingredients in every product. 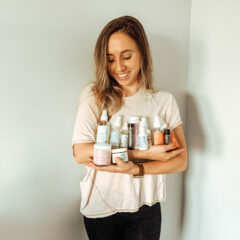 With a mission to be consumer-conscious, this brand believes that their products should benefit both your skin and the organic farmers that first plant the seeds. Do you see how many of our boxes are already being checked here? Cocokind is the truth, friends! Where to buy: Cocokind website or find a retailer near you. Cocokind is totally revolutionizing the beauty industry. That’s a big statement, but I mean it. Every product has only the essential ingredients, no fillers, no nonsense. Not only that, but every product is affordable. I first fell in love with Cocokind on Instagram(surprise, surprise!). Founder of Cocokind, Priscilla Tsai, lives out her brand and its mission everyday on her Insta stories and had me hooked. She’s 100% down-to-earth and relatable. Let’s be real, when dealing with skincare issues, the last person I want to take advice from is someone who doesn’t deal with my probz. Be sure to check out her insta stories and her blog to get all of her tips and tricks to healthy skin! In the meantime, let’s get to the reviews! I’ve got my top 3 favorite Cocokind products for you below! I have tried so many toners in my life. Everyone swears you can’t skip this essential step, but it’s hard when most of the toners are too harsh on my skin! Cocokind has made it easy and worry-free. 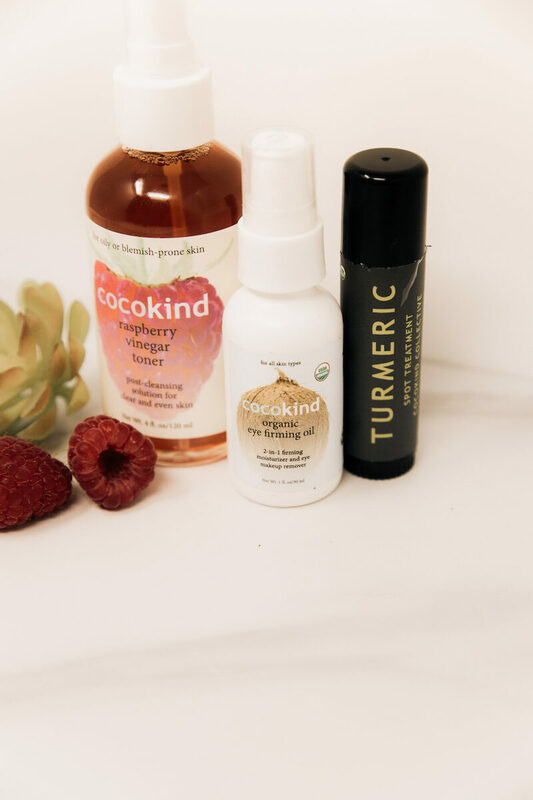 The Cocokind Raspberry Vinegar Toner is for those with oily or breakout-prone skin (that’s me!). I use it immediately after cleansing my face. All I do is spray it on cotton pad and dab away! When I pull back the cotton pad, I can literally see the dead skin and excess dirt that comes off. This is a great toner to use when I’m feeling extra oily or are dealing with breakouts. If my skin is feeling balance, I use the Cocokind Rosewater Toner instead. 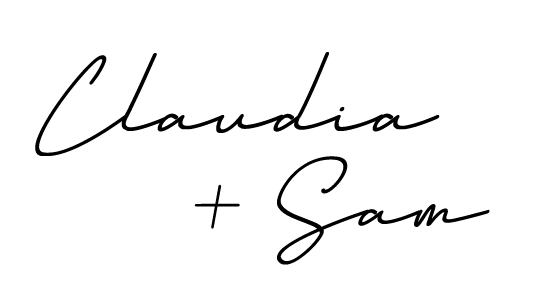 Claudia will give you all the deets on this one! 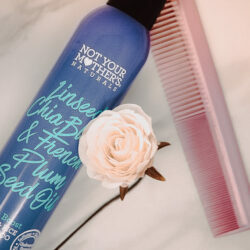 Not to mention, this Raspberry Toner also smells delish…seriously, delish. I even saw Priscilla spray it on her salad once in her stories when she forgot dressing. That’s not a joke. Breakouts are going to happen. Hormones, stress, and poor diet are going to happen. So, when they do, turn to the Cocokind Turmeric Spot Treatment. In the past, I’ve always regretted using spot treatments. They’re filled with chemicals and are so harsh that they leave me with scarred skin due to how quickly they dry out the breakout. Not cool. The great thing about this Cocokind Turmeric Spot Treatment is that it helps your body heal naturally. Turmeric is the mother of all anti-inflammatories. When applied to a breakout, it reduces redness and inflammation and helps your breakout heal properly, which lessens the chance of scarring. Genius! WARNING: Turmeric stains. It will not stain your skin (it comes off great with the Cocokind Cleansing Oil and either toner), but it WILL stain your clothes, pillowcases, etc.. So, be careful! But don’t let the fear of a stain keep you from adding this #COmusthave to your collection. I love it when I can kill two birds with one stone. And the Cocokind Organic Eye Firming Oil is a definite twofer! This magical oil acts as both a makeup remover and an eye area treatment. Wait it’s actually three birds with one stone! It’s nourishing for your eyelashes and eyebrows as well. TRIPLE BOOM. I actually use this product twice in my daily routine. First, I use it to remove my eye makeup before jumping in the shower. I then reapply after my shower to let the firming oils really sink in while I sleep! Since it’s thick and oily, I don’t like to apply it in the morning, but I do use the Cocokind Mymatcha All-Over Moisture stick around my eyes when I wake up. Claudia will fill you in on those deets, too! I LOVE my new eye care routine. Basically, Cocokind is the shiz and I want every product in my vanity. You’re up, Claudia! Being that our obsession with Cocokind is already pretty evident, I’ll save you from the lengthy love letter I had in mind. In all seriousness though, this skincare line is BOMB. Even though I don’t suffer from crazy breakouts (thank goodness! ), my skin does react to the foods I eat, my stress levels, the weather and how balanced or imbalanced my hormones are. I’ll wake up with random patches of dry skin, a super oily t-zone or mini breakouts around my cheeks or chin depending on what’s going on in my life. For the past couple of months, however, I’ve been feeling SO great! (More on this topic in our next post…stay tuned!) 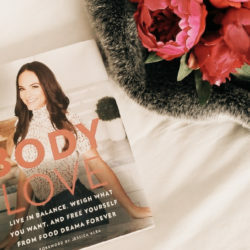 My health, my energy, my confidence…everything is at an all-time high. 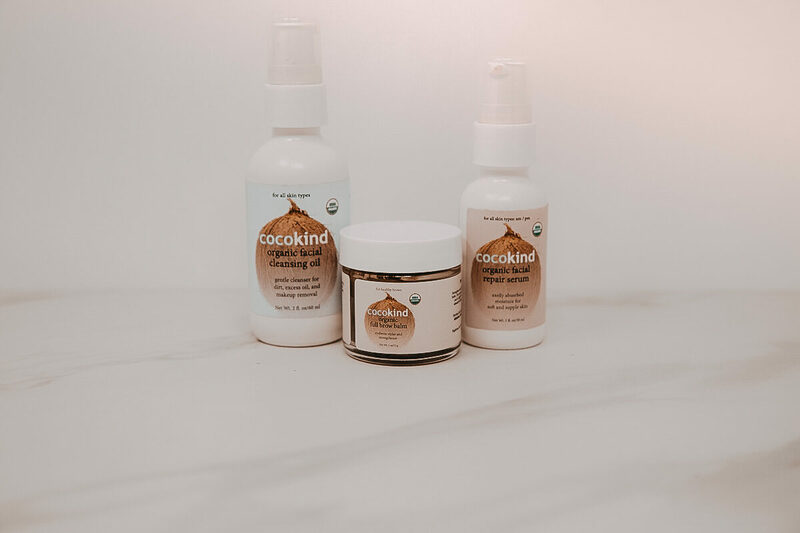 And with the help of Cocokind, I feel like I finally found an easy skincare routine that allows my skin to relax and look as balanced on the outside as I feel on the inside. On that happy note, let me introduce you to my three favorite Cocokind products! Every morning and night, after I’ve washed my face, I spray the toner onto a cotton pad and gently dab away. It helps to get rid of any lingering debris and also balances my skin’s pH (major key when it comes to clear skin!). I have to admit, I’ve never used a toner before, but I’m totally sold when it comes to this one. It immediately soothes my skin and gives it a nice, healthy glow. I love using this toner to prep my skin for moisturizer and makeup. To be honest, I was unsure about whether to buy this one or not. Even though all my favorite insta bloggers, including my BFF Sam, seemed to be totally obsessed with this matcha moisture stick…I was still skeptical of its magical abilities to decrease eye puffiness, reduce dark circles, rejuvenate dry spots and protect from free radicals. “Holy crap! My eyes look awake and energized at 6am, and the dry patch around my nose is gone?! Ok, this stuff is gold.” That’s right, peeps. This little stick is pure magic and has turned me into a Matcha Stick LOVER. And for just $8.99, you really can’t say no. 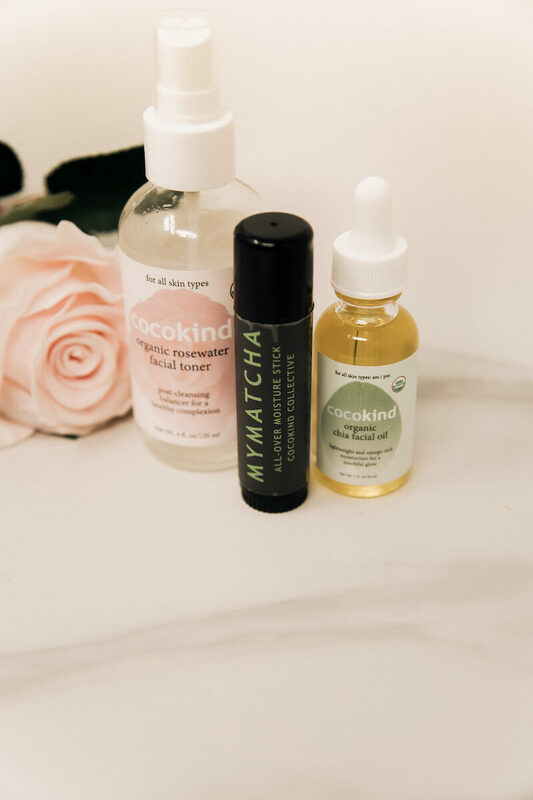 I apply the Matcha Stick liberally, day and night, under my eyes and around any dry spots near my nose and cheeks right after I apply the Rosewater Toner. It is completely scentless and leaves a little bit of shine behind, but this is quickly absorbed into your skin a few minutes later. Also, even though the stick is green, it doesn’t leave any color residue on your face, or clothes, like the Turmeric Stick. With the help of just three simple ingredients – coconut oil, beeswax and matcha tea powder – this moisture stick successfully melts away any signs of tired eyes and helps to heal and protect patches of dry skin. No wonder all the cool kids bring it with them when they travel! This one will have a permanent place in both my vanity and my carry-on from now until eternity! Say hello to my new favorite moisturizer! The Cocokind Chia Seed Facial Oil has officially replaced my trusty Acure argan oil. Can you believe it? I noticed that the Acure oil is great for the parts of my skin that need DEEP moisture, like my hands and cuticles, but is a little too heavy for day-to-day use on my face. Hence, why I made the switch to the Chia Seed Oil. As with my other Cocokind products, I apply this one both day and night. This is the last step in my new, easy-peasy skincare routine (cleanse, tone, matcha and moisturize). In the mornings, I apply about 2 drops on my fingers, rub them together and massage evenly onto my nose, under eyes, cheeks and chin. I lightly rub whatever amount is left on my forehead to avoid an overly shiny face. At night, I generously rub about 3 to 4 drops all over my face. Give me ALL the moisture! So why do I love this Chia Seed Oil so much? It’s 100% organic. If you know me at all, you know I’m all about purchasing all things organic. Foods, drinks, cleaning products, beauty products…if it’s organic, I’m buying it! Chia seed oil is significant source of omega-3 fatty acids, meaning it protects and nourishes our skin cells and also provides necessary antioxidants and phytonutrients. It is also infused with organic chamomile flowers which helps to calm my skin! The oil absorbs really well and really fast! It won’t leave you with an unwanted shiny complexion and it definitely doesn’t clog your pores. It is perfectly lightweight for daily use. If we’re talking price, this chia seed oil is a tiny bit more than the Acure Argan Oil. But the extra $2.50 is totally worth it, if you ask me. Just like with Acure, a little bit goes a long way with this one. So you won’t need to stock up as often as you think! TBH, it was hard to pick our three favorite Cocokind products…they’re all amazing! So the next three we have for you are not necessarily my favorites, but I’m still in love. Adjusting to using a cleansing oil as opposed to a traditional cleanser can be tough. I tried it in the past with Hello Aglow, but after a failed attempt I was hesitant to jump back on the bandwagon. After following Cocokind for sometime, I was convinced I needed to switch to an oil cleanser to nurture my skin instead of stripping it. I’m glad I made the switch! This product works wonders on taking off face makeup. I used to wash my face and dry it with a towel and be disappointed to see makeup smears all over my clean towel…what the heck! Since this cleanser is oil based, it literally lifts up all the dirt and makeup when you wipe it off with a cotton pad. It’s seriously satisfying! I will say since using this product my skin is definitely more balanced in the moisture department! This is the newest addition to my Cocokind collection. Recently, I went to get my eyebrows waxed and my esthetician noticed my hair hadn’t grown back as much as it usually does. So naturally, I freaked! Then, I remembered this blog post about using Cocokind Organic Full Brow Balm to help grow thicker, fuller brows and lashes. Within the hour, it was ordered! I’ve only been using this stuff for a couple of weeks, but I do have high hopes! If it works, it’s the cleanest and most affordable lash/brow product out there! Every ingredient in this product is awesome but two stand out the most: organic castor oil and organic cacao powder. Castor oil promotes re-hair growth where it has been lost (yes, please!). Cacao powder boosts circulation to prevent hair from falling out (yes, please!). These ingredients are definitely giving me high hopes for now…stay tuned! If your skin is in serious need of a moisture boost, look no further. This is the holy grail of face moisturizers, friends. It’s so moisturizing that I cannot use it everyday (at least not during the humid summer months). Cocokind Organic Facial Repair Serum is the perfect moisturizer after I’ve used a strong mask. Masks, by nature, can be drying since they work to dig out all the nasties. I’ve found that this repair serum has helped me avoid that post-mask dry spell. Avoiding that dry spell is critical to preventing extra oiliness and unnecessary breakouts. Otherwise, what was the point of the mask?! Cocokind has us hooked for SO many reasons. The affordability and effectiveness obviously keep us running for more, but it goes beyond that. Cocokind knows what’s wrong with the beauty industry and works everyday to be different. They inspire us to feel good in our perfectly imperfect skin! We also feel good supporting a company that values being both socially-conscious customer-conscious! 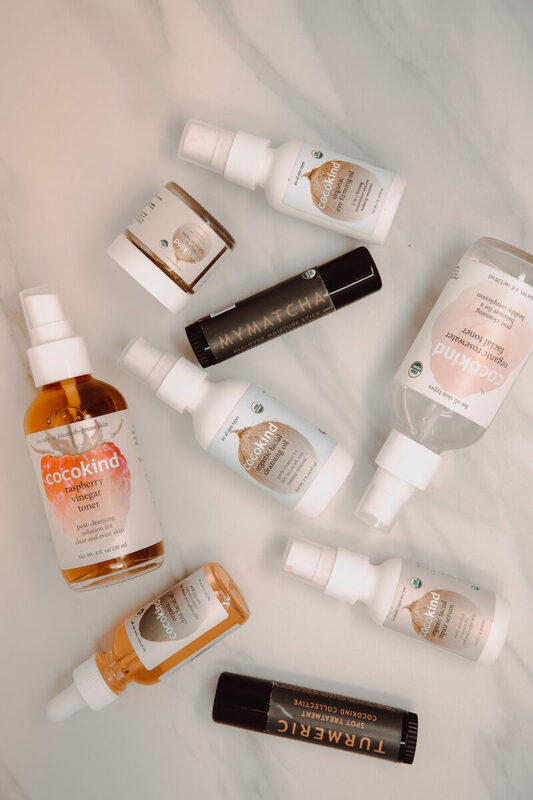 Our skin, hearts, and minds feel good supporting Cocokind so obviously they deserve a 10/10!